This entry was posted on Wednesday, June 17th, 2009 at 10:15 pm	and is filed under maya. You can follow any responses to this entry through the RSS 2.0 feed. You can leave a response, or trackback from your own site. 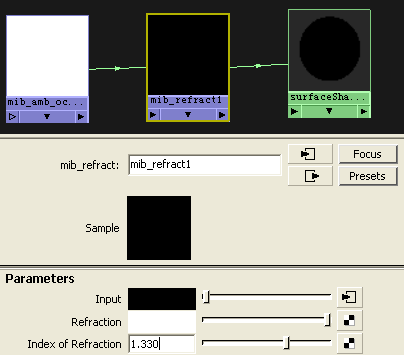 set to 1.6 IOR and mib_refract set to same (1.6) the refracts are different/dont match..any idea why? all else is ok….maya 2010.
anyway… not sure why, you might want to keep the glass shader’s and same as your refract AO shader..I mean, if you use a mia shader for a glass object, use the same shader to create the refract AO shader as well.. 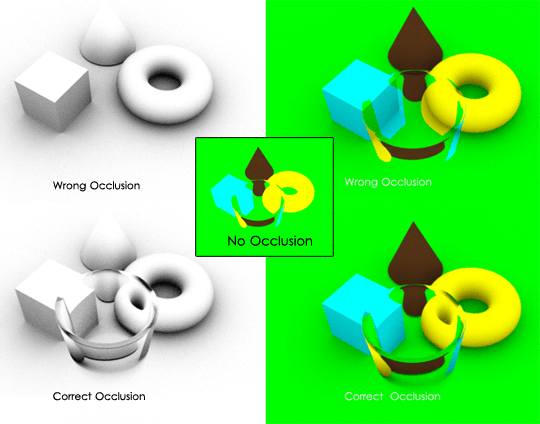 However, for easier usage of this refract AO stuff, you don’t have to use mib or any other fancy shaders at all, you can even connect the AO texture node into an ambient color of a maya default blinn shader, and map the transparency map into its transparency, it will still work ..